Do you work for Zillow? Zillow is a real estate and rental marketplace dedicated to empowering consumers with data, inspiration and knowledge around the place they call home, and connecting them with the best local professionals who can help. "Great App for real estate, commercial or residential"
Easy to use, clean interface... filtering tool is by far the best compared to other Real Estate sites. Lots of fake listing in Los Angeles, the for sale side not so much but on the rental side there are lots of bogus listings. 3 Bedroom/ 2 Bath / 3000 sqft in the West Hollywood for $1800.00. I'm sold! Oh i need to send you a $300 credit review cashiers check to save my spot in line, no problem guy who barely speaks English. Sham! If you're smart this is a great app for personal and business real estate research and discovery. Great App for Real Estate Investors who are looking for information without an annoying realtor trying to take the reigns and charge you for public information you can get on your own. Finding wealthy neighborhoods in cities I do not live in, in order to find merchants with stores and restaurants near these wealthy enclaves. As well live/work loft space and investment real estate comps. "Great concept, but information is not always up to date"
The best thing about Zillow is the fact that it is so well known. The majority of new clients we get mention Zillow specifically, and how they saw our listing on the website. Information on Zillow is not always up to date. Many times, I have to go into Zillow and manually update our listings to make sure that they are accurate. The biggest issue we have had is with price changes. If you list on Zillow, make sure that you check in periodically to ensure accuracy with your properties. If you are browsing as a buyer, it may be wise to check with an agent who has access to the local MLS to get more accurate information. Zillow is great because it is free and so many buyers use it. We have had quite a few prospective buyers contact us and mention they saw our property on Zillow. "Great tool for new landlords"
Zillow is an online website that allows me to place my townhome for rent for potential tenants to see. Zillow is a main website that people go to and search for places to rent. I'm able to upload the details of my property and unlimited number of pictures. I was able to to get my tenant through Zillow.com. I'm also able to collect the rent payment from my tenant with Zillow. They have a few options but I use the FREE ACH funds transfer. It takes 2-4 days for the funds to show up in my bank account but I'm ok with that. I do not have any dislikes for Zillow.com. The site is great. It allows me to do exactly what I need. This software/website solves my problem of posting my unit for rent. I'm able to advertise - for free - a place to rent. Zillow has the ability to set-up auto ACH rent payments. It will tell you when the payment has been made and when it will arrive in your bank account. I was able to upload better photos at anytime. It also allows me to run background checks through their applicant screening tool. This is a one-stop shop software. "Very good website for checking out homes." This is a great website for looking at homes.. They have a lot of info about each home, schools, neighborhood etc. The website is pretty well laid out and its very easy to use. I have not heard any clients complain about the navigation so that's good. It's hard to market yourself as an agent. There are a lot of agents on the site and the programs cost a lot of money. Try to maximize the free features before shelling out all the money. Having clients look at homes on the site and then give me the RMLS number so that i can get them even more info and show them the home in person,. Zillow offers a user friendly, free mobile app that has been a huge asset to our property in terms of leasing and marketing. Their website is also user friendly and easy to update. The website tends to be a little slow and not as easy to use as the mobile application. I also wish you could edit the address for listings after they have been created on the app. Keep your listings up to date! Customers do not like when they respond to outdated ads. I also recommend using professional pictures and to always include photos of the interiors of the property if possible. Renters/buyers are typically suspicious of a place that is not willing to share photos of the living space. Zillow provides a way to reach thousands of potential renters through multiple sites with one post. Our traffic has increased ten fold since we started posting on Zillow. "The One we Have to Play Nice With"
I like the large scale and widely known name of zillow. They have an easy app to use and it is very user friendly. I dislike that the featured agents that are listed above the actually listing agents taking leads away. That is the most frequent complaint I hear from the agents in my firm. Additionally, the lag time in updates is frustrating for our sellers. It can take 12+ hours to update listing changes, and it is something that sellers see and immediately put onto the agent, not realizing it is really zillow's own struggle. While it is crucial to be using Zillow, be aware of their update time. Agents are able to have their listings available to the masses. In the world of "any press is good press," it helps to get your name and properties in front of potential buyers. The app is easy to use and it seems everyone has it. If you are a premier agent, I'm sure it's great for your business, but that's only if you are willing to pay the high price tag. I like that we can post on zillow and it automatically populates to Trulia. We get more leads than I anticipated and it's free! I only wish we had started using it even sooner! We really like this tool for rental properties. We haven't found anything we didn't like. This is a free ILS. You would be silly to not create an account and put your listings on here. Guaranteed at least one of the websites they post to will result in a lead. We need to make sure people are finding our apartments for rent. Zillow allows us to showcase our apartments without charging us money. Plus it populates automatically to Trulia which gives us even more leads. We get more leads from this tool than we do from tools that cost us a lot of money each month. We really appreciate having Zillow as a resource for listing apartments for rent. "Spend the money - might get leads "
Really I think operating and having your open houses on there as the only way to go! I absolutely love how easy using zillow is. It is very user friendly as a potential buyer and as a home owner. That stats are great and the search function is wonderful as well. I also love the map feature and so many different ways the site gives you to be able to locate exactly what you need. There is nothing that I can think of that is awful. One thing that could be helpful would be to have an option for home owners who are selling 'by owner' to have a flag or something that will stop realtors from spamming you with calls/texts/emails trying to get your business. That is annoying but is not zillow's fault. Make sure you take the time to fill out everything in detail! It will benefit you both in searching to buy and selling! I have confidence in being able to sell my house using this tool. I think it has a great amount of information and is a highly rated website that is used as a reliable source for pricing and home searching. "Zillow is an absolutely great software to use for Realtors"
I love that you don't have to do much work on it at all. You just need to set up your profile, enter a few pieces of information, and your listings and solds automatically transfer over. Reviews are the most seamless part of Zillow that my clients and I love. I dislike that Zillow is unable to go back in time and fetch all the previous properties that I have sold in my career. It would make it easier than to manually enter every single one of them. It's important to show prospective clients how much you have sold, so you look more appealing. Zillow provides the benefit of easy sharing my listings with either friends or clients. On Zillow they are able to view all the property information, like an agent would be able to. I love that everything is so user friendly and searchable. I love the way you can search/edit and the functionality. The app is user friendly and easy to navigate. I really don't like the way that the open houses glitch, it pulls from the MLS feed which is fine but it also has a tendency to not catch up very quickly if an open house is canceled/rescheduled. I find that the Zestimates throw clients off (either thinking their house is worth more/less than it actually is in market conditions). I also find that Zillow will market things as "available" when in fact they are not. It seems that the listing report feature has been changed as well or eliminated? The listing report feature was great and when Trulia merged with Zillow it wasn't affected but seems to be lately? Don't hesitate to reach out to the tech support. There's almost always a local rep in your area who can help meet your needs. Sometimes not the fastest responses but always personable and friendly. I think overall zillow is one of the best real estate sites/apps out there and it's worth it's glitches. It's expensive if you have the premier account but worth the price for impressions etc. It's helpful for our clients to get a wide base of homes to view so they don't have to stick strictly to MLS or Realtor. We love the review feature, it's user friendly and easy to resend if it gets lost in clients mail. We also like that we can research For-Sale-By-Owners and that it's a great site for independent sellers. "Best Source For Listing Your Property"
This service is completely user-friendly and super effective for listing your property and home! I love how you have complete access and tools to make your home unique and attractive on many levels. It allows you to showcase and highlight each home feature and gives you plenty of room to work with descriptions and key points of the property listing. I don't like the search feature that much. I have been on both sides of the program. Selling and also as a home buyer. The searches can get a bit tedious and time consuming but the mobile version of Zillow is very quick and easy if you are on the go. I would recommend everyone to get familiar with all the ins and outs of the website and program and utilize all features and create your own technique for success. I was able to list my rental property through the service so that I could receive offers and bids from potential buyers. I was also able to assess the value based on similar properties and correctly price our home. "Using Zillow as a Real Estate Agent for Data (not advertising)"
The best part of Zillow is the ability to quickly see general information regarding a specific property with regards to estimated value and rent. It's also nice to see how this compares to other houses next to it or in the area. As a realtor, the information is not good when given away to people that don't understand it. It is very common for people not in the real estate field to use Zillow information and then believe they know everything about the real estate market especially when it comes to valuing real estate. Then when they come to us, they do not listen to the advice that we have to give based off of experience and comparables to what we know is going on now. If we give in to that client and make decisions off of what they believe is right, and a sale goes poorly, they ultimately blame us, even though it was their opinion from Zillow that may have gotten them into this mess. For a pedestrian user, don't use Zillow as a final end all for the data you receive. You have to treat it as one of your resources, and understand that it uses an algorithym to compute its values. As a result, it doesn't understand that certain properties can be very different than a simple math equation that you would not understand by just looking at specs. I don't really solve any real business problem with Zillow. Zillow helps me get quick information that I can utilize to quickly compare an idea that I may have regarding a particular property. I guess you could say then that it saves me time. If Zillow didn't exist, I could still get the information that I needed, but it could take much longer depending on the specific property and the situation behind that. Zillow is a strong platform and you will get exposure and views. The quality of viewers are ok, often the people who contact regarding a property are not really who they are. I prefer Zillow for looking at other properties than from listing my own. Sometimes I have found the data to be off, when it estimates a property value either rental or sale it's usually too high or too low. This is not as reliable as StreetEasy for example. I have had sketchy people who are not qualified, who are scammers contact me and I see that it is way too easy to make a Zillow account and they should screen users better. I would recommend to use other sites like Property Shark, Street Easy, direct real estate sites of companies. Zillow is good for skimming a view of properties. I use Zillow to list and market properties. I also use Zillow for searching what is in the market in an neighborhood but do not prefer Zillow for the NYC area, I rather use Streeteasy for NYC and Zillow for the suburbs. "Great, Simple Help for Housing"
I LOVE how many options of filters Zillow offers so you can narrow it down or expand it for results! I’m conflicted lately between it and Trulia with almost identical features. Zillow is not great for searching areas without boundaries. Try it, but compare with Trulia and then see what gives you the best results! Zillow has made it much easier to list properties and then get responses from actually interested people! "Great for use on desktop"
Being able to see a "map" of the homes that are for sale within a certain radius is extremely helpful if you are looking for a home in a particular area. Having to click "next" to see new homes. I wish there was a way to continue scrolling down the page of homes without having to worry about what page one was on. You will get the most out of Zillow by viewing it on a desktop/laptop. I have been looking for a home for quiet some time and it's great that one can have adjust homes shown by certain, picky criteria. "Advertising Adair Springs Cabin on zillow." Zillow is well know in the real estate market. It is one way to advertise Adair Springs Cabin, my vacation rental in Pinetop, Arizona. You must renew listing often in order for it to remain active. Zillow is one of the most popular real estate web sites out there. It is free to list on so why not take advantage of it? Zillow has been an excellent way to let the community know that my cabin is available to rent as a vacation rental or long term rental. "Use to promote my listings "
Zillow is able to reach many people and it is a nice way to get your listing info out to potential buyers. Zillow integrates with your local MLS so it can be very nice and easy for it to update with you MLS so you don't have to worry about uploading all the info, your photos. your videos and all the stats. The actual sites seem to be user friendly for both agents and for the consumers. It will also upload info about what is around the area and schools as well. Its a great way to syndicate your home listings out to a large population. There are many free things that zillow offers for agents to help as well. I feel the price of advertising and getting leads on zillow is getting to expensive. They also allow more then one agent to show up on your listing so you really only have a 25% chance of getting that lead. I do know they allow you to share the cost of buying leads with lenders so that is a positive. They did recently up the amount needed to spend each month to $1000 to get the lead scrubbing service. Of course there is always the issue of the zestimates being off and not the correct value. Homeowners are allowed to claim their listings and can edit the comments to update the facts on the home and that can help increase or dcrease the zestimate. Good way to promote listings and get reviews. Its a good way to promote your listings to try and get them sold. Because of price and length of contracts required I havnt done any paid services with them yet. "Good Site but Not Great"
It shows a vast array of properties that are currently on the market. Not all the properties are verified and many of the aspects are inaccurate. Pricing details, square footage, and other important details are not always up to date. Also, they tend to have properties on their site that have either come off the market or are not even actually available. Zillow is a great starting point for your real estate home search. However, not all date is accurate and thus it is very important to verify everything either with the listing agent or your own real estate agent. Often times agents will post listings that are not active to get your inquiry and business. Be weary of any property or deal that seems too good to be true. It usually is. Zillow is a great way for real estate agents to advertise their own listings as well as advertise their services by paying for ads on the site. It gives agents a lot of exposure they otherwise wouldn't have. I like the exposue that Zillow provides...the site is easy to use and access and I know that when I list something, it will probably be seen on Zillow more than on any other site in existance in the area. Many times the information is dated and incorrect. Properties on this site can often times not be traced back to the actual listing agent and I do not know how to help out a Zillow buyer looking for information on a property unless it is also listed on the MLS. To become a Premier agent it gets very expensive unless you share it with many, many, many other agents, giving you very little impressions for your money. Zillow is always looking for ways to make money out of an agent. Be cautious about the information received on this site. If everyone would boycott this sight, I would support that, but as long as the seller and the buyer use it extensively, I will team with Zillow in order to make my listings as accurate as possible and to help my buyer and seller attain their goals. I have gotten some leads from Zillow but not in the area I am paying for. Leads tend to come from areas of low priced properties that other agents often pass up. I love that Zillow keeps track of so much home-buying and renting data that is easily accessible to all users. I have used this as a buyer, renter, and seller and it did not disappoint on any front. There really isn't much to dislike about Zillow. I have never had any pressing issues and it's really simple to use. There are so many home-buying and renting websites and platforms available right now, so it is important that buyers and sellers know all of them in order to maximize their results. Zillow is a popular one for a reason - it's easy to use and navigate, and it has comprehensive information on all of the available and unavailable homes. Zillow makes it easy to list rentals and homes for sale. It also allows you to advertise across multiple sites all at once. Easy to use. This website is very good for people who just start searching for a house. It gives general idea about prices and what the market offers. It does not give accurate information about "an estimate". It often confuses buyers and sellers what they can afford to buy and how much their house actually worth. Not always up to date. Often buyers find listings that has been sold a few days ago and the status never been updated. Its a good website to advertise listings and get reviews from the past clients. It's very expensive to pay for leads and from my experience it does not bring any strong leads. easy to share listings with the clients and post it on social media. like to use this website for reviews from my past clients. "Zillow is OK, but there are better sites out there"
Zillow is probably the most comprehensive site that does this sort of thing, so it can be a good starting place for researching what residential real estate is on the market, how much it is selling for, etc. Although not nearly as good as an official appraisal or Broker Opinion of Value, the Zestimate can be a useful tool for monitoring pricing trends and getting a sense for a property's value in any given market. Although it has gotten better over the years, the data can be unreliable and/or outdated. Oftentimes houses will show up as active when they're already under contract or sold. Other times, apartments or houses that are listed for rent will show up as for sale. While definitely useful in certain ways, the Zestimate can also be a misleading figure, as it has a margin of error of up to 10%. Use Zillow as one of many tools in your search for a new home or quest to sell your current one, but do not mistake it for a replacement for input from professionals and more sophisticated tools. Zillow provides a user-friendly first point of entry for people interested in getting into the residential real estate market. The data isn't perfect, and neither is the user interface, but it's one of the better and more accessible tools out there for people doing research about the residential market. "Zillow - the good and bad"
"Great for looking for apartments and houses!" Finds you the best prices in your range of size and timeframe. Really easy to use and super helpful, especially when it's super hard to find good apartments in the Bay Area. Helpful when you have specific needs you want to search for, great app as well, and great browser-based website. Sometimes has more expensive houses and rentals than other sites, like Apartments.com or Craigslist, but definitely has some great options. Check out a number of different sites first, but this is definitely one of the best apps to use and one of the easiest systems to understand. The filters are really great. Easier than finding a real estate agent, or searching on multiple websites. Cuts it down to just one. "Zillow is Convenient and easily accessible "
Exactly what the title entails, Zillow is a well-known app/website that is easily accessible to the public. Very easy to use with instant information. Sometimes people will not update it as soon as a listing is done, which will be VERY annoying for agents and clients. It's a website that needs a lot of attention and updates. Need to constantly update your personal information/listings. Be organized and keep the customer happy with accurate and current information. It is easily accessible to the public, and a great way to spread the word about your listings and name! The more people that see your listings, the more awareness it brings to your brand. It’s easy to post property on this platform. The website is very easy to use and navigate. The layout of the pages are easy to read and understand the information being posted. Not all of the information is accurate. People can post fake profiles and there is no way to tell. I would just be careful giving information found on Zillow to clients as it is not all accurate. This has been a major benefit by allowing us to reach clients that we would have a hard time reaching. "A simple way to attract tenants"
One of the top sites for people to look for home buying/renting. It's an easy way to advertise available listings. In this day and age more people are using the internet to search for rentals than the paper or even driving by rental signs. "One of the largest places to look at real estate, but might not be the best places." Detailed information about homes, ie. when it was built, how many times it has been sold, zestimate and future growth. All this information has given me more to digest when making one of the largest decisions in my life. There is no substitute for having lots of data. Sometimes the information is wrong or outdated. I once thought I found a place for sale that was really perfect, only to find out it had been sold and pending for 3 weeks. If there was a way to keep info updated and clean, I would have a lot more respect for the product. Do your best to keep up with the Redfin's of the world. Zillow has started something great but Redfin is surpassing Zillow in accuracy and quality. Needed to know which area/neighborhood I should buy/rent into. For work, needed to be able to locate areas that would benefit from using the platform. "Great New Tool for Multifamily Housing"
Zillow provides many filters to help you narrow down your search, map search, zip code search, etc. so many options for a seamless user experience. You can now advertise with Zillow for $10 a lead, very affordable! Zillow allows you to host your own website link to drive traffic back to your property websites and the leads are usually individuals who are actually very interested in renting with you because they've filled out an entire contact card. Honestly, there have not been any issues that we have come across lately. The back end system could be a little easier to use. Zillow offers 3 month advertising trials which is especially helpful in gathering data and evaluating if the source is actually working for you. The terms are simple and affordable and typically cap out at a certain level so you can easily budget and never end up spending more than expected. The major benefit is affordability in getting contact info for actual qualified renters. Zillow also links out to other websites such as hotpads so you are populating in other website avenues as well. It’s very easy to use and my clients can leave me reviews. It’s not always the most accurate data. It’s actually caused more problems then solved any. A lot of my clients get info from there but it’s inaccurate and I have to be the bearer of bad news. Benefits is it is easy to access and work. "Consumer and Real Estate Broker Zillow Review"
I have used Zillow as a consumer and as a professional Real Estate Broker. I like the mobile app and how you can draw your own specific search areas. Zillow also has good search criteria to more accurately target your search. I use Zillow as a supplemental tool to aid my MLS searches for listings. Zillow is the first place I look when searching for rental properties. I wish that Zillow made their contributors update their listings more frequently. Many times I have requested to see a listing and found it to no longer be available, which is, very frustrating both if I am trying to show the property to someone or if I am looking for myself. Zillow is a very good tool to find both For Sale and For Rent listings. In my experience, I have found Zillow to have the highest number of listings available compared to other listing websites and they have a very user friendly site and app, both for Realtors and consumers. Zillow allows me to find listings that may not be on the MLS. If I was showing a client homes in a specific area, I would want to make sure that I knew of every listing available and not just ones that are posted by realtors. Most "Sale by Owner" homes do not make it on the MLS so it is important to use other sites like Zillow, to aid in filling the gaps where tradition Real Estate software can fall short. I'm not a fan of Zillow. However it does make listings very accessible to the general public. For the public they see this as a positive however some of the information that is given isn't correct which creates issues. A lot. Zillow makes properties accessible to the general public. This leaves out the realtor until down the road if the clients are interested in said property. However, on Zillow I find some of the information to be inaccurate. Especially ZESTIMATES. These figures are often way off and upset owners and give buyers a skewed idea of the marketplace. Try to cut down on the estimates given out to the general public. This is often not an accurate number and makes it difficult to appease sellers that are trying to get the most for their property. I find zillow is best for rentals from a realtors point of view. Rentals can get time consuming. If the clients can pick out only a handful they are interested in based off what they see on zillow this cuts down the time it takes to find them the perfect place. Needs more property feature options to aid in more precise narrowing of results. I would advise users to utilize the property features to find the ideal home for them. It allows me to assist in the location of potential future homes for clients. The options help to narrow the selection to personalize per customer. "Great for checking the area and estimated price!" I like that I can see most of the information in one spot. I can also see if the property is under contract or pending too! We use Zillow and other websites to estimate ARV's for our clients and determine a contract price. Zillow provides the county information, map view (which is great for seeing other properties on the street without having to visit the site! ), and school information. That the prices really aren't too accurate, yet customers think they are real. It is seen by millions! What more can you say?? Sometimes it is difficult to find my contact data on the page. Use it! It is exactly what it advertises! The big issues are getting the house out there to those who are coming into the area but have never really looked for a home. Getting your pictures and home information is excellent. 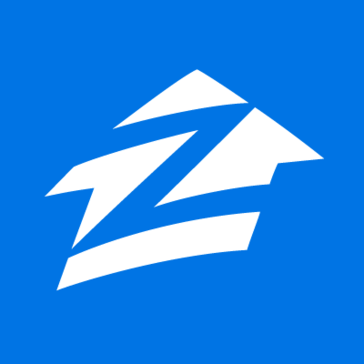 "Zillow has a huge clientele base, but it needs improvements"
Zillow is one of the leading rental websites, and a majority of the prospective renters I receive inquires from come from this site. This site definitely leads the others in popularity. My biggest problem with Zillow is that it has in the past inaccurately listed stats on my properties. I had one single family home that was divided into 2 units, a 3 bed/1 bath upstairs and a 1 bed/1 bath downstairs. When I market these units separately I have all the information listed correctly on my end, but Zillow displays both as a 4 bed/ 2 bath at a rent price that does not correspond with a unit of that size. As you might imagine I would get hundreds of interested renters and its obviously misleading, frustrating, and unprofessional. We are able to access a huge market of interested renters and future clientele. Owners interested in renting their properties with see my management company as a major player on this site and reach out to us for management purposes. This application has just enough information to get potential customers excited about real estate but not so much that they think they don't need an agent to help. I wish you could group searches together. It is a good starting point for people dabbling in real estate but you can't rely on the completeness of the data to do a through pro-forma....but if you are house hunting for your primary residence it is fun. Sourcing SF homes for real estate investing. Zillow is the easiest tool casually look around an area but is only one of many tools I use. I would say Zillow is only helpful for realtors for their rental listings. As are more of these online platforms. More high end buyers aren't using such websites, and instead use resources provided from their well-trusted realtors. These websites make people think realtors are not needed which is definitely not the case by any means. I highly dislike the zillow "zestimates". They are not accurate and highly irritate sellers. Because there is no way to adjust them they are misleading to potential buyers. It would be helpful if there is an overall website that correct inaccuracies across multiple websites. I notice a lot of inaccuracies pulled from the MLS listing and it is difficult to keep track of all these different secondary websites that pull that info. The biggest issue that zillow helps with is moving rental listings quickly. Renters are the most likely to use such platforms. "Great tool to generate leads"
I love the Zillow app, and I love the hub and inbox. It's also really slick that it records calls that come in on the lead line. I have had great success using Zillow to generate more business. I don't like being constantly asked to add new products and increase my monthly output. I think you should be able to "bundle" services for discounts when you want to be the featured agent on your own listing. It takes no time at all to spend $700+ a month on Zillow. I don't like that when you pay $350 a month to be the featured agent on your listings you still have a 24 hour window that other agents are listed - that first day is the most important. Pick your initial zip code wisely. Don't jump in on one that's already dominated by another agent. Make sure you have reviews for clients to read. Partner with a lender to reduce costs. Do not use the Zillow generic replies -take the 2 minutes to send a personalized email, you get much better response. I have had several successful closings from Zillow. I don't have time to do the lead gen that I should with a new baby and paying ZIllow to do my marketing has been a terrific time saver. 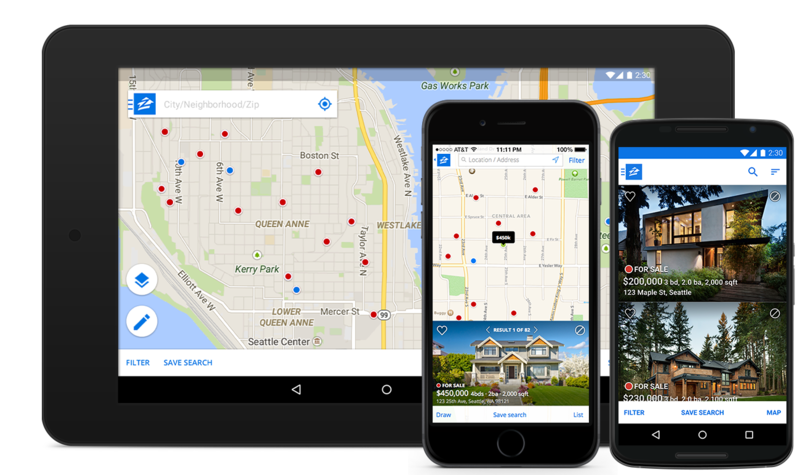 "Not responsive, not helpful for agents - only interested in selling zip codes"
Zillow has integrated MLS feeds so you can automatically send your listings there. But that's about all that's good about Zillow for agents. Terrible and inattentive support (i.e., emails that respond to your inquiry that don't reference the issue you raised at all), inaccurate information on listings, automatic overrides that delete data or replace new data with older data (info and pictures), cold calls from sales reps trying to sell ad packages. If you can avoid it, Zillow is a pain to work with. Virtually nothing works as it should the first time, and so it's very frustrating for agents. As a buyer or seller, I think the experience is very different. It's clear that Zillow isn't really interested in supporting agents - just cannibalizing our data and making money off of it. Since Zillow has bought so much buyer traffic, your listings pretty much have to be on Zillow. But if it weren't for that necessity, I'd have no use for Zillow. I previously worked for a company that used Zillow to list our rentals, and what can I say except I was impressed. I find the the interface not only user friendly, but more user friendly than most other marking mediums. What I wish that Zillow would add is a paid feature. Maybe allowing communities to boost their available rentals for an addition amount each month. I feel like most people are using Zillow for home buying, and do not realize that it has a rental portion too. Therefore allowing us to capitalize on those merely browsing.